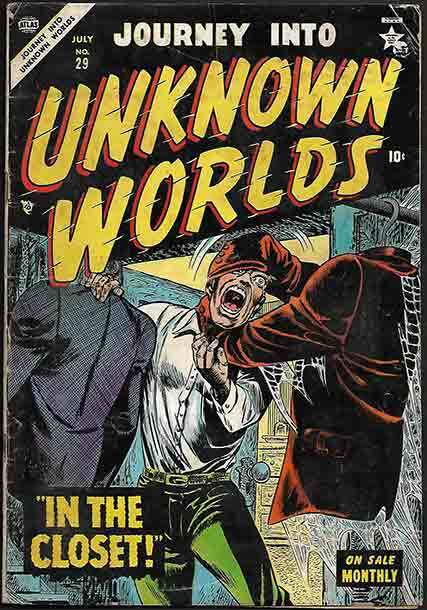 *Horror 1940-1959: Launched in 1950, taking over from the failed series Teen, Journey into Unknown Worlds initially delivered sci-fi shockers to the paranoid populace that thrilled to ‘Invasion of the Body Snatchers’ and other Cold War cinematic thrillers. 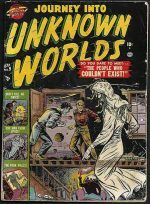 Aliens and robots, however, rapidly gave way to ghosts, vampires and monsters, as JIUW became a fully-fledged horror title – at least until the advent of the Comics Code Authority! 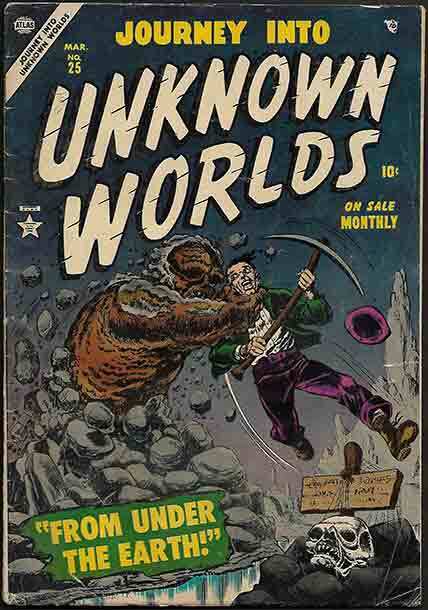 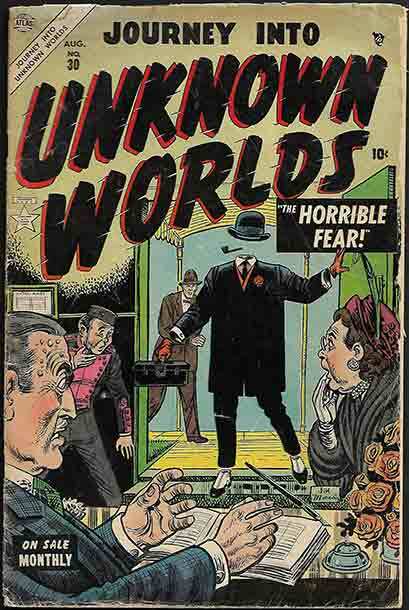 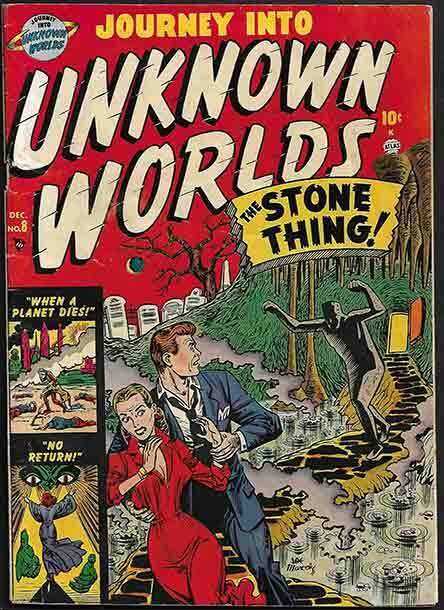 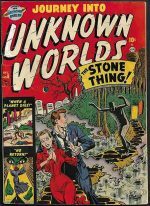 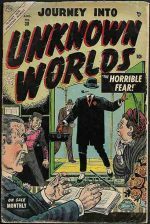 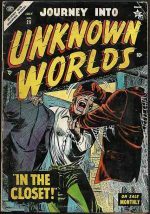 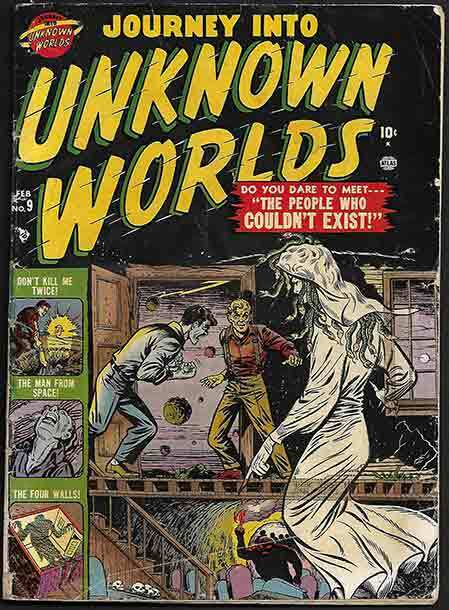 Our recent influx of Journey Into Unknown Worlds is so huge that, as previously noted, we’ve had to break it into two chunks, and this is the Pre-Code section, where Everett, Maneely, Sale, Sekowsky and other stellar artists brought shocks and shudders to the comics-reading populace. 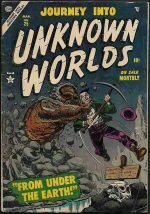 Illustrated are #8 (VG £120), #9 (GD £84), #25 (VG £73), #29 (VG+ £82), and #30 (GD/VG £55), but as with many of our long-running Atlas series, issues are in a wide variety of grades, and many ‘readers’ can be found in our online listings.